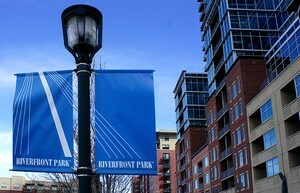 Riverfront Park has quickly become one of the most hotly desired living destinations in the whole of Denver, Colorado. Sandwiched between the eastern bank of the South Platte River, and bordering the culturally rich experience of historic Lower Downtown Denver, the Riverfront Park development is a leading example of Denver's recent urban revitalization. The development offers a wide variety of condominium spaces that are housed inside of intelligently designed buildings, which combine together to create a delightfully modern skyline. Riverfront Park invites a warm sense of community by its close proximity to the lush greenery of Commons Park and the bevy of restaurants, pubs, and walking trails that decorate the heart of the city. Denver's internationally recognized public transit system, including nearby Union Station, may easily be accessed by a short walk from any of Riverfront Park's buildings, and automotive transportation is made easy with thoroughfare highway access located mere blocks away. 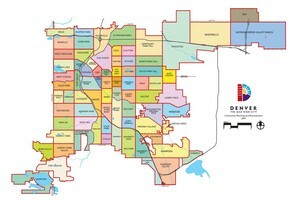 Conveniently, these living spaces are centrally located between Coors Field, the Pepsi Center, Mile High Stadium, the Colorado Convention Center, and the excitement of Elitch Gardens.